Viewing figures, social mentions and sentiment are all up on last year's John Lewis festive spot. 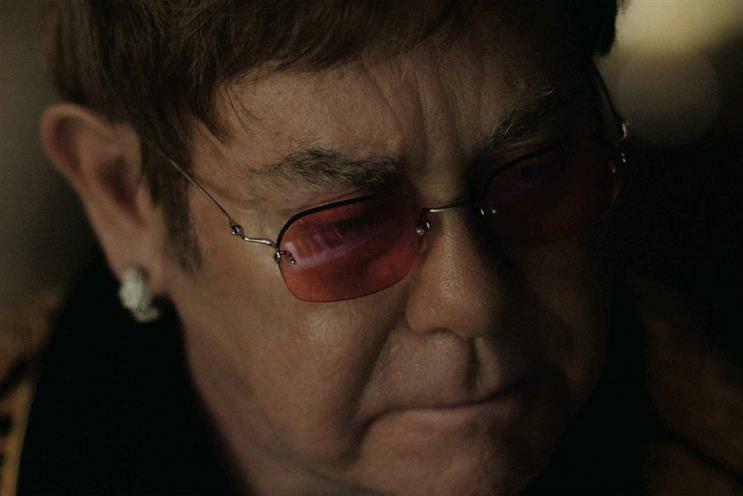 The much-anticipated John Lewis Christmas ad starring Elton John has racked up 11 million views on Facebook and YouTube within 24 hours. The spot, created by Adam & Eve/DDB, debuted yesterday (16 November). It garnered 6.6 million views on Facebook and 4.4 million on YouTube within a day, according to platform-supplied data. This figure is slightly up on the 10.4 million views of last year's John Lewis Christmas ad, also by Adam & Eve/DDB, in the first 24 hours of launch. By contrast, Iceland's controversial Christmas "Rang-tan" campaign – which was released online on 9 November after being banned by advertising regulator Clearcast – has thus far racked up 15 million views on Facebook and 4.6 million views on YouTube. This year's John Lewis ad also notched up 61,438 mentions across social media by late afternoon on its release date, according to media monitoring platform Meltwater. This compares with 34,000 mentions for the same period for last year's "Moz the monster". With regard to sentiment towards the festive spot, 59.8% were positive, compared with 28.1% neutral and 12.2% negative. On the day of the release of the 2017 ad, Meltwater figures show that ad sentiment was 36% positive, 15% negative and the rest neutral. Video parenting community Channel Mum surveyed its members on this year's crop of Christmas ads, with the John Lewis spot emerging as the most popular, voted for by 27% of participants. Iceland's "Rang-tan" ad, which focuses on the environmental impact of palm oil use in foods and its threat to orangutan habitats, was a close second, taking 23% of the vote.